and select from hundreds of merchants to do my Christmas shopping online. Last night I selected Amazon and bought all of my kid's toys and electronics...They will be shipped to me in two days and the shipping is free with the Amazon Prime free trial (which not only ships your Amazon purchases for free, it also lets you stream movies and borrow Kindle books for free). Can you get that from standing in line on Black Friday? This doesn't cost any more than buying directly from the retailer, but the added benefit is that eligible purchases earn money that you can direct to your favorite nonprofits (my Amazon purchase earned credits that went into the community pot). 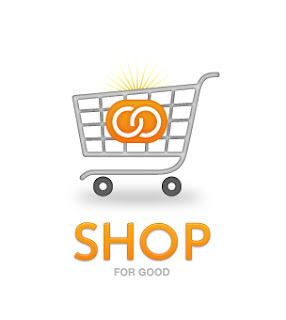 Every quarter, SGN send checks to the organizations that member shopping and donations support. It's a win-win. Do your Christmas shopping from the comfort of your own home and contribute to your favorite nonprofit organization...or, make a contribution directly to a charity that you believe in. A great thing to do this holiday season don'cha think? 0 Response to "Christmas Shopping"